Why build a metal agricultural building? As a farmer, you may need a reliable storage solution for your livestock and farm equipment. A steel pole barn is a great choice for many reasons. Metal offers many advantages over wood barns, including strength & durability, value, flexibility, ease of maintenance and safety. We’ll get into more details in the section below, but for now, all you need to know is that pre fabricated metal buildings offer a solid, structure that is able to withstand the elements and the test of time. We use lightweight, yet strong tubular or red iron steel for our metal building construction, which is rust- and termite-resistant. Our steel barns are built to last for many decades and are backed by a good warranty so you can feel confident in your purchase. When you decide to purchase your steel barn from Metal Buildings Charlotte, we’ll work with you to decide on all the ins and outs of your structure, from size and color customizations, to the creation of all necessary permitting paperwork and the construction of your building on-site. Our metal building contractors will help to ensure a seamless process from start to finish and will work hard to make it as easy and hassle-free as possible for all parties involved. If you need a steel building for agricultural purposes, contact us today, and we’ll be happy to get started on your project. Fill out the form on this page or call us at 980-365-6583 to begin the estimation process! As mentioned above, steel offers several advantages over wood for your agricultural building project. If you’re not sure whether a metal barn is the right choice for you, read on to learn about the difference that steel can make. If you’re looking for strength, you can’t get much better than a metal building. We utilize high-quality tubular and red iron steel for a variety of applications, both of which are lightweight, but incredibly durable, and are known for their ability to withstand the elements in our unpredictable Carolina climate! But even if you don’t live in Charlotte or North Carolina, metal works well in just about any area with variable weather conditions. Long-term, metal barns are more durable than wooden barns. Wood cracks and warps in harsh weather, leading to leaks and other problems over time. It’s also subject to infestation by termites and other wood-destroying insects. If you’ve got livestock or expensive farm equipment to store, you’ll want to make sure your metal storage building will hold up well over many years. Wood barns expensive to construct and maintain. Not only are steel barns less expensive build upfront. They are built to withstand harsh weather conditions over a long period, making them less costly and more valuable long-term. Simply put, you’re going to get more building for your buck when you choose metal. Depending on the size of your structure, you may opt for either lightweight tubular steel or red iron steel to house your agricultural equipment and animals. A steel building on your property can also increase its resale value. Steel barns are highly customizable, and we can work within your budget. From the size of the building and the size of your roof, to the color of the siding and the style of the doors, there are many options available to suit your particular needs. Perhaps you need a metal barn for your growing family of horses. While wooden barns are difficult to expand, steel barns can easily grow with your livestock over time and the additions are much more cost-effective. Unlike wooden barns, which are subject to wear and tear from harsh weather conditions, steel barns will not require nearly the same level of maintenance over time, since steel is not subject rotting, cracking, warping, or destruction by termites or other wood-destroying insects. Wooden barns often need to be repainted or re-stained every 5-10 years, whereas the color of your metal building is chosen and designed to withstand the elements during its original manufacture. 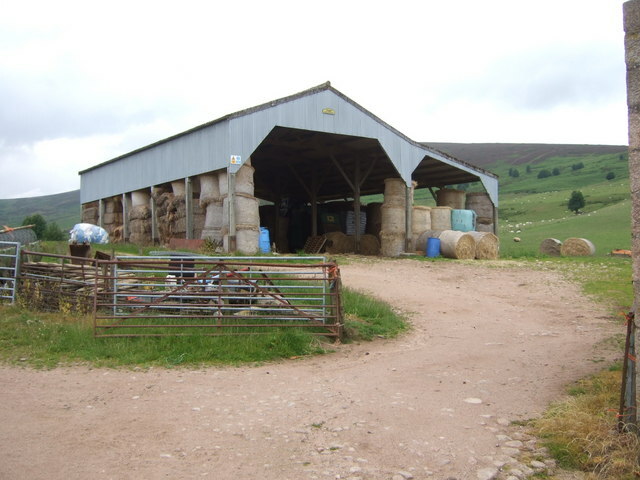 The concerns over wood should be carefully considered if you’re looking at a metal pole barn. Wooden poles will shift easily and decay over time, which can result in unsafe conditions and threaten the life of your structure and your livestock. Metal barns are simply safer than wooden ones, for many of the reasons already mentioned above. But just to reiterate, whether you’re considering a horse barn for your equestrian family, or you need a place to house your expensive farm equipment, safety is always a major concern, and metal barns are built to adequately protect your assets in just about any weather conditions. Metal barns also offer low flammability so you can have peace of mind (especially as wild fires are rapidly spreading across the Carolinas at the time of this web page being written!) You wouldn’t want a barn fire to destroy all of your expensive farming equipment and other possessions necessary to maintain your business. Some insurance companies even offer discounts for steel barns, so it’s definitely worth considering when weighing your options. In any case, make sure you purchase a metal barn from a reliable and reputable company like Metal Buildings Charlotte. We back up our workmanship and materials on every building with a warranty that will leave you satisfied and confident. To learn more about metal barns for sale in your area, give us a call at (980) 365-6583 or fill out the form on this page and we’ll be happy to work together to formulate a detailed estimate for your steel barn project. Want more info on the cost of steel barns in NC? Give us a call!